Im happy ! IMO, Better than the original Goon. Air flow works better and the flavor is better. Sure can’t beat the Price. And a hard to find dripper. Just about everybody who carried The 1.5 is either out of stock or $60. No complaints what so ever. 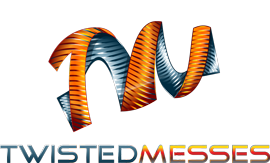 Thanks everyone at Twisted Messes.